There is everything to love about this simple satisfying cake. It turns out of the pan complete with fragrant caramelly, lusciousness on top. Nothing more to do but eat- especially while it’s still warm! 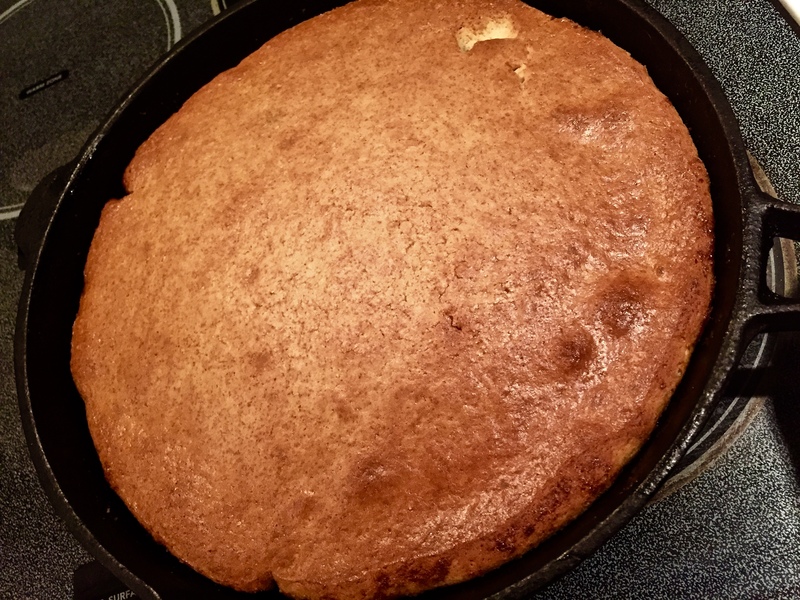 I used a cast iron skillet here but a cake pan will work too of course. 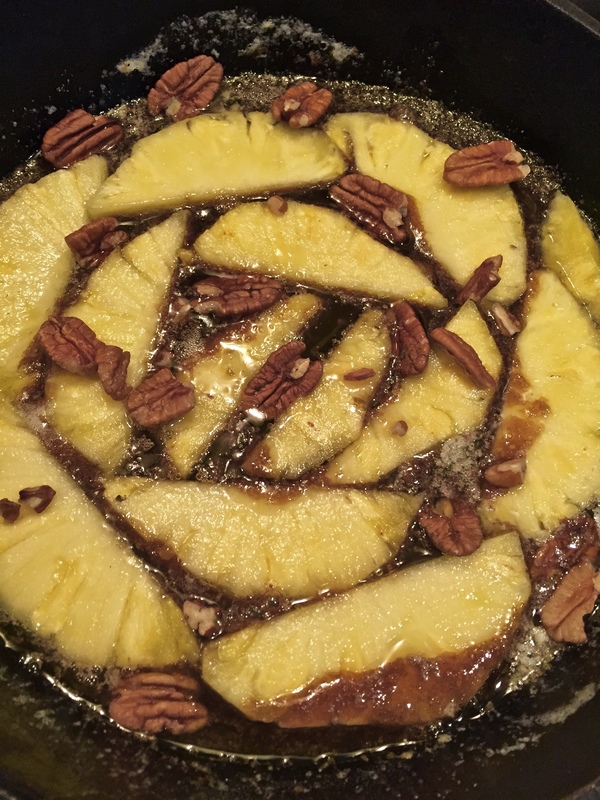 I started by melting about 1/4 c of butter in the skillet with a 1/4 c Brown Sugar and placing the pineapple in. I added Pecans because why not? And I’m not a fan of formaldehyde cherries. 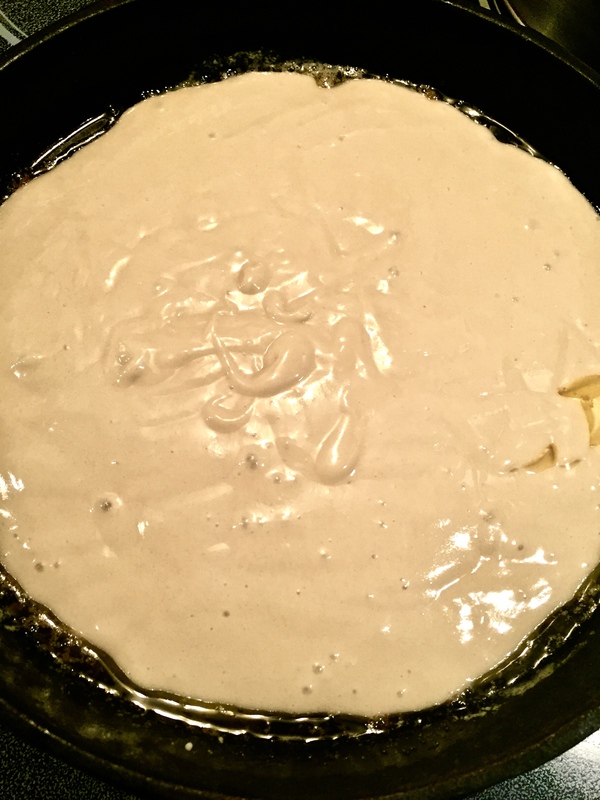 Let it cool a bit before adding the cake batter. The best! 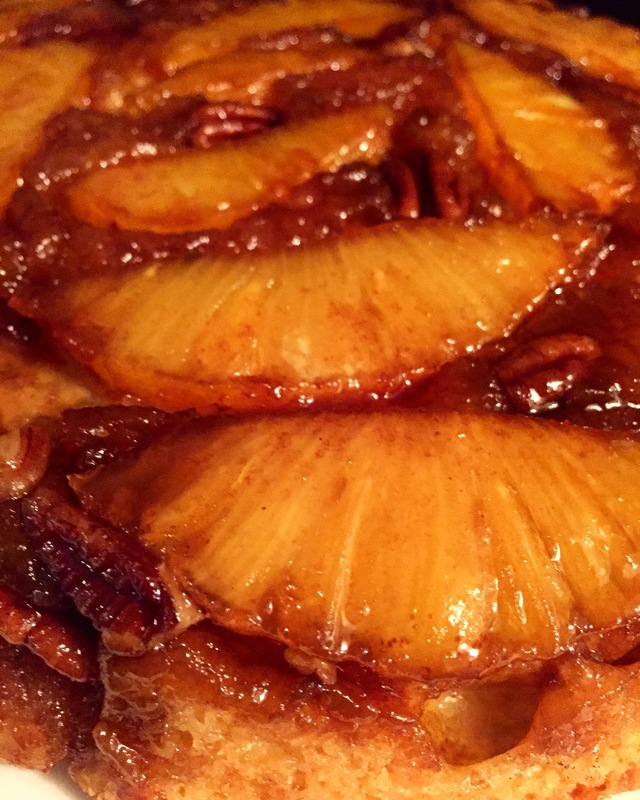 Of course you can use most any other fruit instead of Pineapple. Enjoy ! Cream the butter and sugar for 2 min. Add each egg one at a time mixing 30 seconds between, then continue creaming 2 min when all eggs are in. Bake at 350′ until golden and springs back from touch. Approximately 25-30 minutes.